Over seven seasons of continual development and expansion to our berry business, we have been able to develop a reliable and highly skilled crew of managers and coordinators. From the early days when our team had to be a “jack of all trades”, our workers have now been able to develop into skill based roles within the business such as Agronomists, Accountants, Irrigation Managers, Plant Operators, Mechanics, Grounds Keepers, Accommodation Managers, Harvest Managers and Supervisors, Human Resources and Farm Safety as well as farm hands. Our business has had to diversify and develop its workforce as many of the above roles have had to be developed from within our business. Culture is very important to both our business and our staff, and we are proud of our team as we all work together to provide a delicious berry for our customers. In order for Hillwood Berries to provide the best berry to eat, we need to pick them from the plant at the optimum time. This can require over 250 people on any one day during the peak of our harvest. As berry picking work is seasonal and transient, it makes it difficult to provide consistent work year round for 100% local workers. 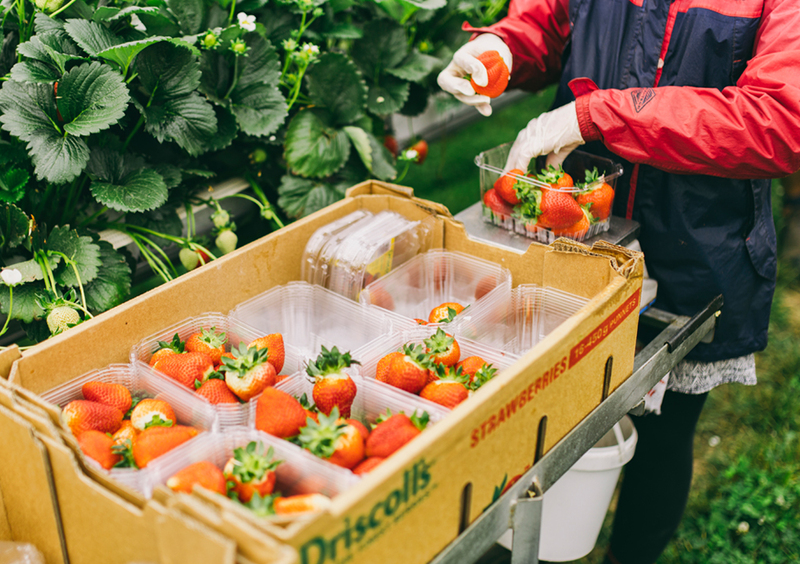 Where possible we employ local people to pick and work on the farm, however, unlike our berries, workers don’t grow on trees so we need to be proactive in how we source extra labour. We have traditionally relied upon backpackers for our short fall which has been great, but as more farms expand and grow and with the increased costs of production, we have looked to a more sustainable labour source. Of more recent times, we have worked with local refugee communities and we have been able to establish a local crew of New Australians who have immigrated to Australia to establish a new life for their families. These workers have come from countries like Afghanistan, Nepal and Bhutan. They are fantastically motivated individuals and are forming reliable crews in our plant husbandry and harvest teams. Over the last few years we have had to find a sustainable source of returning seasonal workers as backpackers can only remain in Australia for a maximum of two seasons. We have looked to The Australian Seasonal Worker programme which is an Australian Government Aid initiative to assist the surrounding Pacific islands. This programme is now our largest source of seasonal workers. We recruit workers from Tonga, Timor-Leste and Kiribati. We are very proud of our involvement in utilizing this programme, as we were one of the first farms to directly employ workers through this programme. We love seeing the opportunities our farm can provide for our Pacific island workers, who are then able to send money home to their families to help them build a house or buy a car. Some of our workers have now returned for their fourth season and are planning on saving money to put their children through university. It’s little things like this that make all the effort to grow berries worth it, because the flow-on effect of the work opportunities it provides for under-privileged people is truly impressive.